I love that you can make some fun Christmas treats out of your favorite everyday treats with just a few addition. 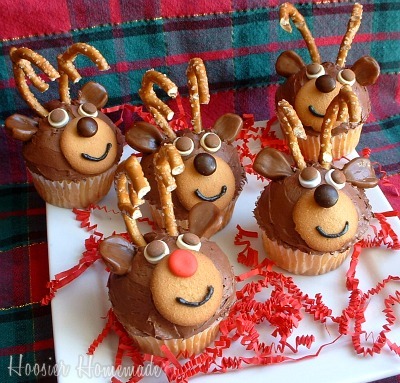 Hoosier Homemade will show you how to turn regular cupcakes into reindeer cupcakes. 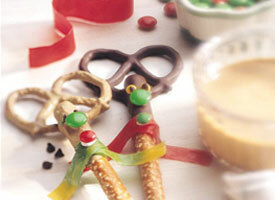 Betty Crocker will turn pretzels into reindeer pretzels. And Oriental Trading will show you how to turn donuts into reindeer donuts. It just takes a little Christmas magic and a few pretzels. 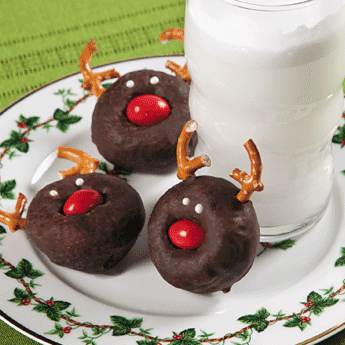 I love the reindeer doughnut idea! Thanks so much for including my cupcakes! I'm really looking forward to the Christmas holiday and creating more cupcakes this year.